One of the most famous expos is coming up next week in Las Vegas, and we are happy to invite you to come and visit us at booth No. 2089. 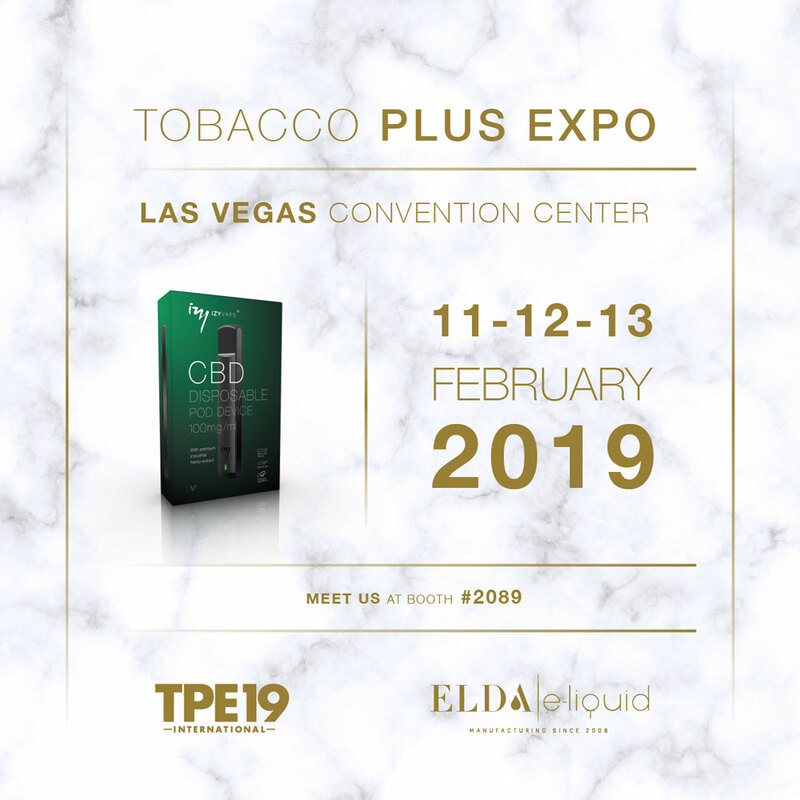 Elda's team is going to introduce our most popular CBD products to all visitors at Tobacco Plus Expo and looking forward to discuss all relevant questions regarding continuosly blooming CBD industry. Our IZY Vape disposable CBD POD is huge hit all across the Europe, we are ready to embrace its success in USA also. Don't miss out testing our IZY POD, we will be at Las Vegas Convention Center on February 11th – 13th.